"On Friday, a California federal judge rejected a key portion of an ongoing lawsuit brought by Stephanie Counts and Shari Gold that alleges that the Fox series New Girl was derived from their own proposals for a show about a woman who moves in with three single men." "In support, the two said they had hired an attorney to pursue claims in 2011 and had gotten a $10,000 offer from Fox to settle the matter in 2012. Counts and Gold rejected the offer, but there was something a little off about the situation; their law firm at the time also represented New Girl executive producer and director Jacob Kasdan. Their lawyers advised them about the conflict and suggested that if they wished to pursue claims against Kasdan, they'd need to discuss further involvement in the dispute." 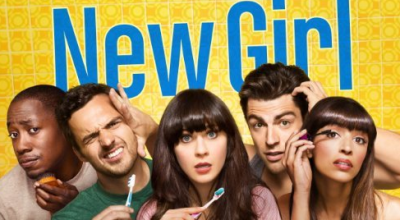 "According to the complaint, they 'were unaware of just how tightly aligned Defendants and their then-counsel were in the entertainment industry: The firm representing Plaintiffs also absurdly represented the director and executive producer of New Girl, the very show Plaintiffs claimed took their ideas and artistic expression. The extent to which this relationship had truly affected then-counsel’s representation of Plaintiffs only became truly evident to Plaintiffs in February 2012.'" "In today's opinion, U.S. District Judge Stephen Wilson is hardly impressed with the argument. He writes that the plaintiffs admitted being informed about the potential conflict and 'apparently consented.' He adds that they might have found the $10,000 settlement offer insulting, but he doesn't believe the prior lawyer's 'failure to elicit a larger sum indicates that they were 'incapacitated' by their conflict of interest.'" "Federal prosecutors said Friday they are satisfied that an attorney for indicted Washington State Auditor Troy Kelley does not have a conflict of interest that might warrant his removal from the case." "The government last month said Kelley had paid more than $900,000 in stolen money as a retainer to Davis Wright Tremaine, the Seattle firm where his attorney, Mark Bartlett, works. Prosecutors said they were concerned that it could create a conflict of interest if Bartlett had provided Kelley with advice about spending that money, and they asked U.S. District Judge Ronald Leighton to consider whether a conflict might exist." "They said they were concerned Bartlett might need to be called as a witness in the case or that he might have to cross-examine partners in his own law firm about how the retainer was handled. They said it could also raise issues that Bartlett previously represented Kelley's wife. Bartlett said no conflicts existed. He said he did not give Kelley advice on paying the retainer, and he noted his firm is holding Kelley's money in trust rather than spending it."